RELPOL is a company with several decades of experience in producing a wide array of time relays. By introducing new models of the RPC series, RELPOL has expanded its portfolio with products featuring highest quality electronic components. These time relays are distinguished from other such relays available on the market by their wide functionality and high reliability. The RPC-series relays have multiple operating modes and are therefore used in industrial automation, building automation, and in installation switchboards. The RPC series is a successor to the MT-T series. split into two groups based on power type: universal (12–240 VAC/DC) and 230 VAC. 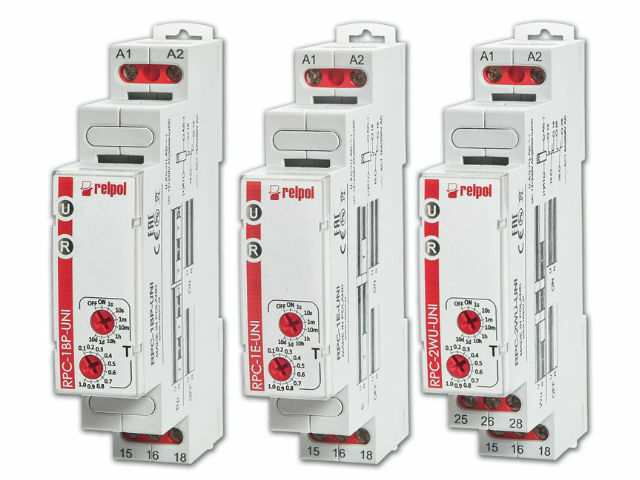 See the full offer of RPC-series timer relays from RELPOL.